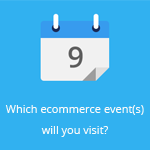 September 14, 2015 by Ecommerce News. About Statistics with tags Belgium. 5399 views. About 6.7 million consumers in Belgium purchased products and services online worth of 1.97 billion euros during the second quarter of this year. Ecommerce now accounts for 14 percent of all spending in this Western European country. 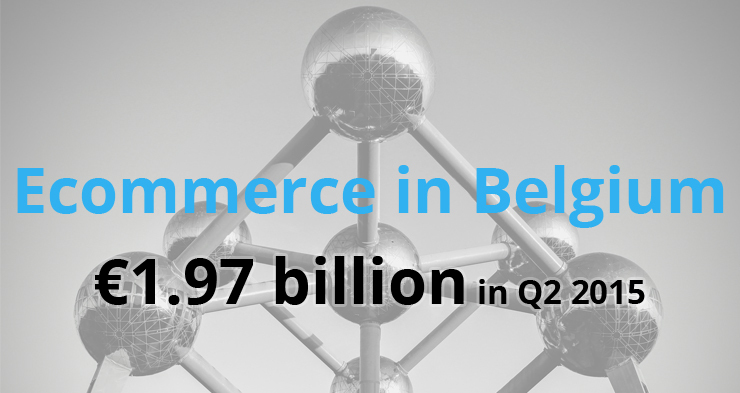 If ecommerce in Belgium develops at the same pace for the rest of the year, it will surpass the €7 billion by the end of 2015. The data come from BeCommerce, a Belgian association for companies active in distance selling. 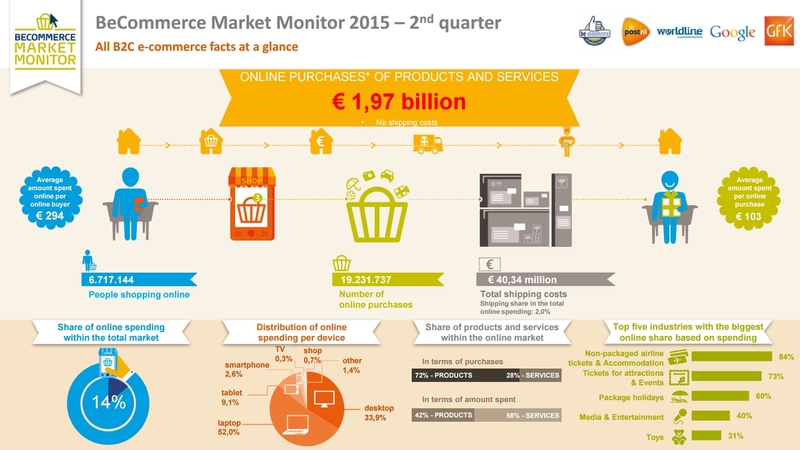 Every quarter they publish the BeCommerce Market Monitor to show how the ecommerce industry in Belgium performs. During the first quarter of this year, Belgians spent 2.1 billion euros online, so the amount has somewhat decreased during the second quarter. Nonetheless, it’s still 72.6 percent of the population above 15 years of age that shopped online during this period. On average, Belgians spent 103 euros per online purchase. BeCommerce also looked at the differences between the Flemish and Walloon consumers. It seems that in Flanders, 3.88 million people shopped online, who spent 294 euro each on average. As a result 1.14 billion euros was spent online on products and service in the Dutch-speaking part of Belgium. In Wallonia and Brussels there were 2.82 million Belgians who purchased something online and spent on average 293 euros per shopper. But in this part of Belgium ecommerce was worth just 830 million euros. 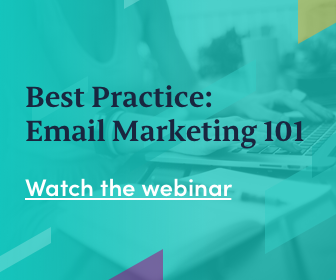 Almost three in four online purchases consist of products, but when we look at the amount of money spent in ecommerce, online products only account for 42 percent. When we look at the total spending on products, it’s also just 7 percent that’s being purchased online. But in terms of services, the online share is 59 percent! It’s especially airplane tickets and accommodations that are popular: 84 percent of all purchases in this category happen online. BeCommerce also asked consumers about their preferred shopping device. It seems the traditional ones are still king. The laptop is being used by 52 percent of Belgian online shoppers, while the desktop computer accounts for 33.9 percent. Meanwhile, the tablet is getting more popular and is now being used by almost 10 percent of the Belgian population. The smartphone is still lagging behind, as this device was being used by just 2.6 percent during the second quarter of this year. The credit card was the most popular payment method during Q2. About one in three online purchases (35 percent) was completed by using this card. Bancontact/Mister Cash (30 percent) and PayPal (12 percent) are two other very popular payment methods in Belgium.